Coach of the Super Eagles of Nigeria, Gernot Rohr has assured President Mohammed Buhari and Nigerian fans that his team will have an outstanding outing at the 2018 FIFA World Cup in Russia. 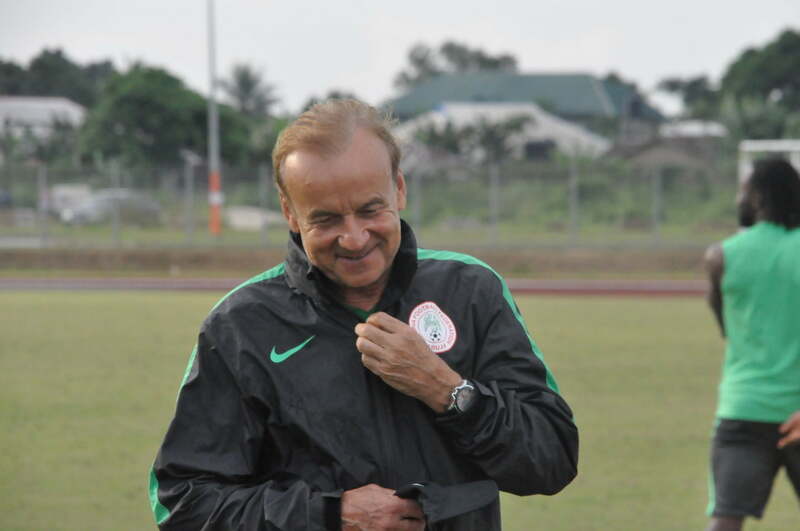 Rohr, who said top preparations have been mapped out for the Eagles, added that the national team will surpass previous achievements without setting any personal target. Speaking live on Monday Night Football on SuperSport, Rohr stated that the national team players will not be mere spectators at the Russian Mundial. “Now we have plans for good preparations. We have chosen our friendly matches. Our training camps and our base camps have already been decided. “It is important to have a good scouting team. We now have two or three more to help us for this work. “We also have two other fitness coaches. Our staff should be ready, our organisation must be ready, no mistakes. “For the friendly Eagles, will play Poland on March 23rd, and we will know the next on the 27th,” the German tactician said.